Hello! 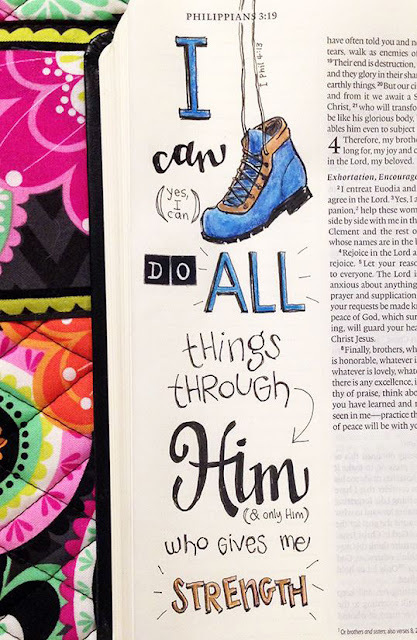 I want to share my first Bible journaling entry. 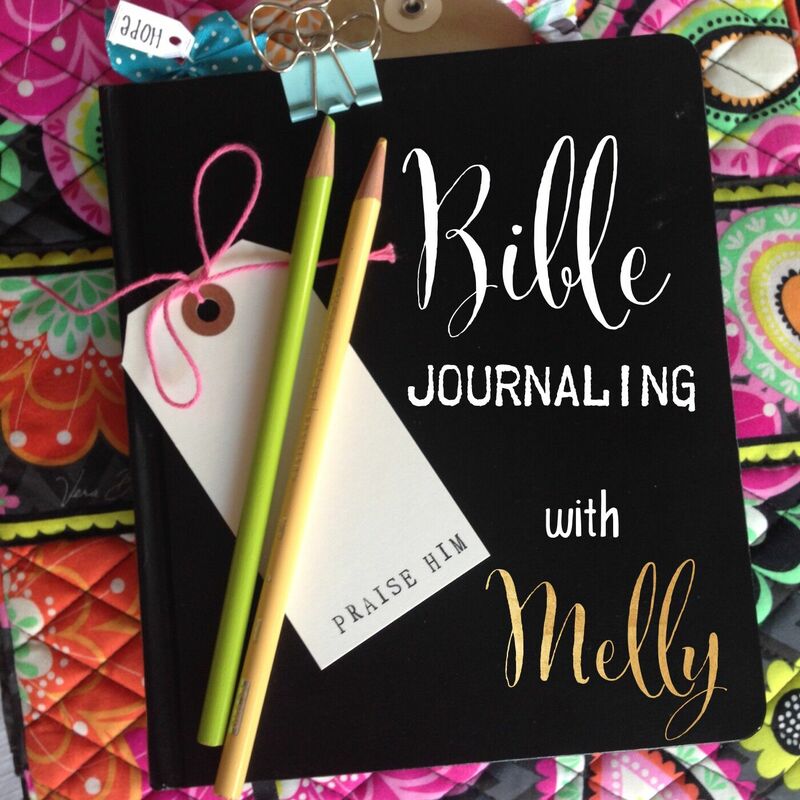 I'm dipping my toes into journaling right now and sticking to the margins. I may venture out, but I think I will always want to keep the scripture legible. It's pretty much my battle cry. Whenever I think I'm physically spent, I chant Philippians 4:13. It started when I was a senior in high school and went on the Wilderness trip with Young Life. It was an arduous trek, but I just said the verse over and over in my mind as I quietly hiked in the middle of the group. I was about 95 lbs. of pure determination. I was not going to be the one to slow the group down and I refused to complain because everyone was on the same trail. I was like the Little Engine that Could. Last year I foolishly thought I could hike up a volcano side in Costa Rica (I was in no shape to do so), but I huffed and puffed the whole way, taking breaks when I needed to, and lived to see God's gorgeous rainforest and waterfalls beneath. The drawing looks just like my hiking boots, which just happened to fall apart in Peru and I had to toss them there. So, in Christ I am strong and victorious, but without Him, I probably would have concentrated on the pain and been paralyzed with fear. Praise God!